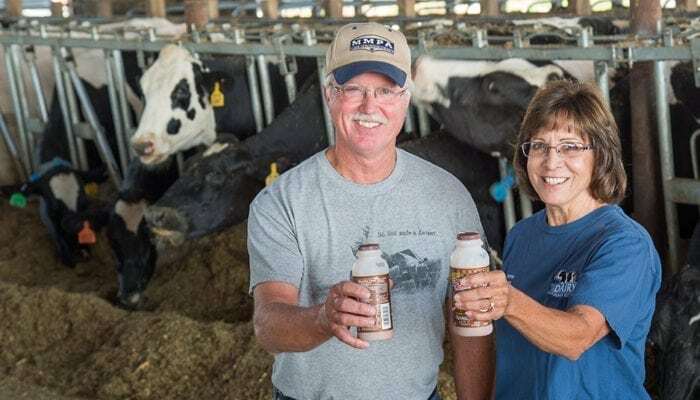 Don and Diane Griffin both grew up on dairy farms in southwest Michigan. 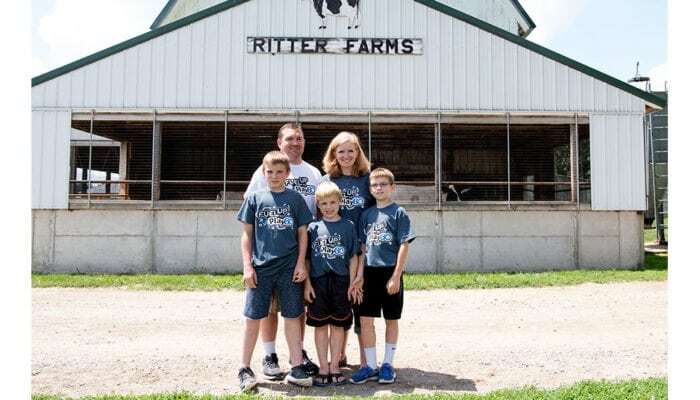 In fact, their farms were just seven miles apart, but they met at a regional high school FFA event. 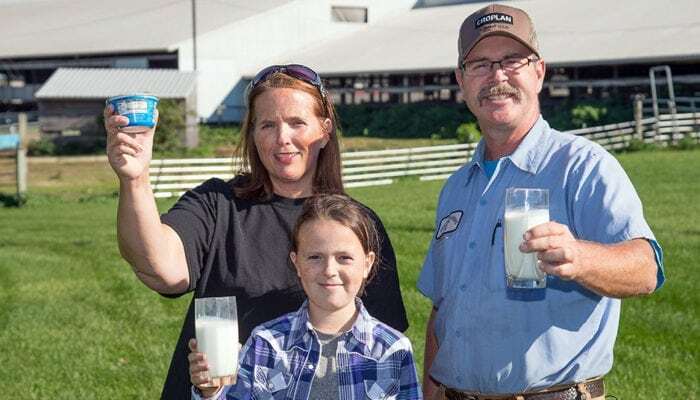 Both of their parents sold their respective dairies in the 1980s, but the couple was born to be dairy farmers. Don became a herdsman at a local dairy farm, and Diane worked in town, helping with chores on weekends and before work. 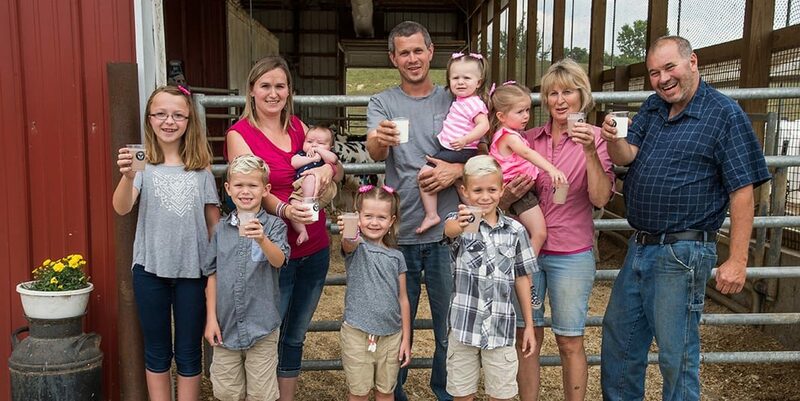 After growing their own herd of cows within the herd they cared for, the Griffins purchased their own dairy. Today, they care for 250 cows and farm 1,000 acres of corn, soybeans, and alfalfa that are fed to the cows each day. 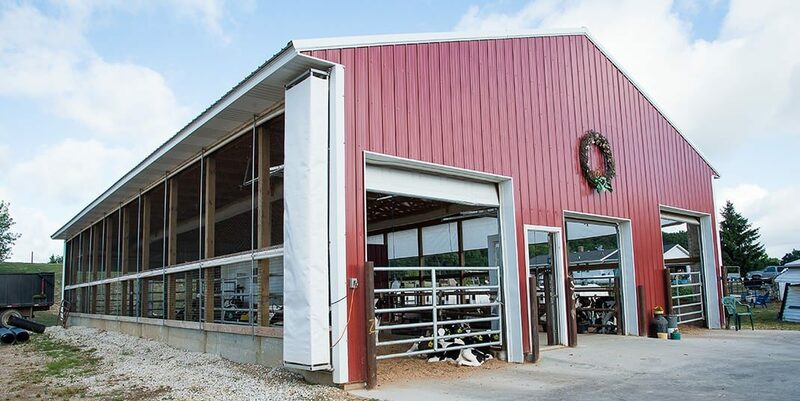 After spending time researching and visiting other farms, in 2013 Diane began using automatic calf feeders that allow the calves to eat whenever they want. The computer reads the calf’s ear tag and prepares the amount of milk the calf is allowed to eat, based on their age. If a calf is not eating as much as she should be, an alert is given, and Diane checks on the calf. Don and Diane farm together with their son Jason. He and his wife Ashley have seven young kids who like to shadow the adults around the farm and are active in 4-H and sports. Don and Diane’s daughter Jolene is the Director of Industry Relations at UDIM. Dairy runs thick in this family. Read about what a typical day at the Griffin farm looks like here. 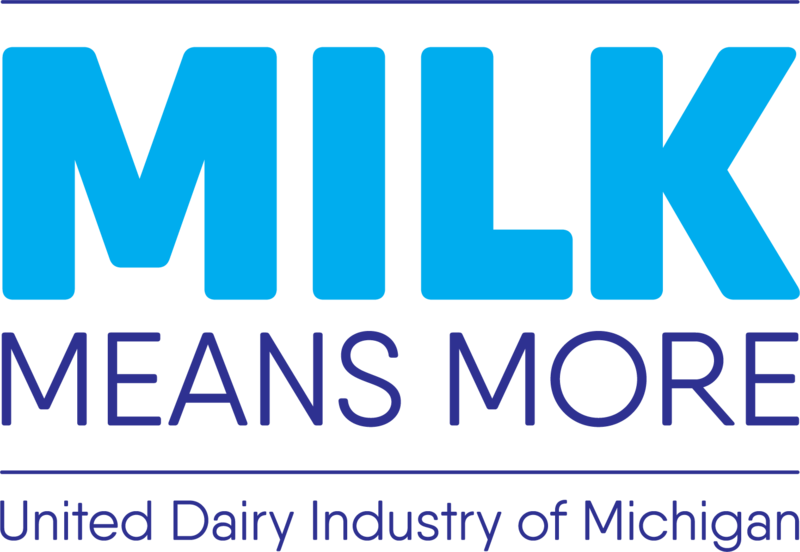 Including delicious dairy foods in their recipes is a priority for the family, especially around the holidays. Read about the Griffin family holiday traditions on the blog. Harvest is a busy time on the farm; visit the blog to see how the Griffin kids explain their roles during harvest. 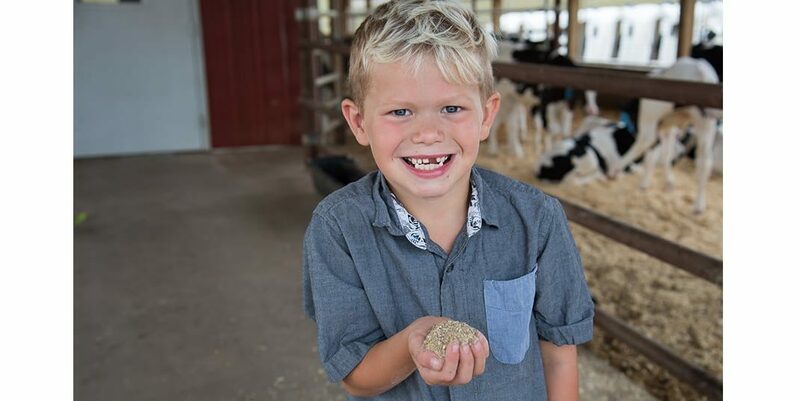 Here, some of the Griffin kids shared why they love living on a dairy farm! The Griffin family farm name, Valley Grove, is derived from the fact that Don’s childhood farm was in a valley, and Grove was in the name of the road it was on.